Having an issue with your Garage Door Opener? Call us today at 647-277-1182. We can repair or install a new opener for you the same day. 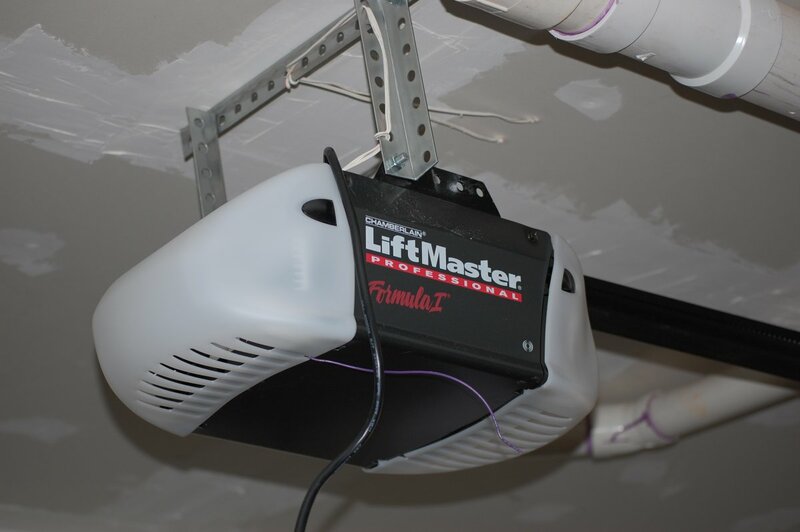 We offer several different types and brands of Garage Door Openers: Liftmaster, Craftsman, Sears, Linear, Wayne Dalton and many more. Our technicians carry a range of Garage Door Openers in their trucks and will be able to recommend the model that best suits your needs and your budget. Whether you need a repair to an overhead door or need a new Garage Door Opener installed in your home or business, we at 24 Express Garage Doors will provide for you superior service. Our professional and knowledgeable staff will provide for you a quick, clean and skilled repair or installation of your Garage Door Opener. The garage door opener is attached to the ceiling a bit far from the door itself on the end of the track it provides electricity to the garage door mechanism. Unlike what most people think it does not lift the door itself, but the Torsion springs do it instead. Instead the garage door opener is providing a small amount of force to stop the door when it needs to stop and provides the locking ability. There are many types of garage door openers, you can see some of them in our website and decide which one is best for you.